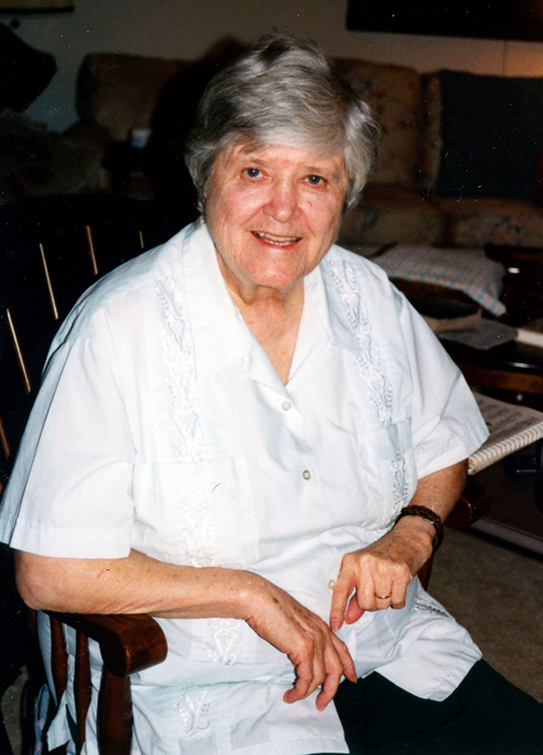 Sister Margaret Ellen attended Good Counsel Academy in Mankato, Minnesota, where she debated new ideas, played the trumpet and challenged herself physically and mentally. She grew to admire the sisters who taught her and decided to become a School Sister of Notre Dame after graduation. She entered the congregation in August 1941, and professed first vows in July 1945. She earned a bachelor’s degree in English from the College of St. Catherine in St. Paul, Minnesota, and a master’s degree from Notre Dame University in South Bend, Indiana. Traveling workshops. Traveling throughout the U.S. and Canada, sisters provided information about interracial relations to help schools prepare for racial integration. Choice. Over 400 sisters with Ph.Ds. taught at African-American colleges for one year so that African-American teachers, whose places the sisters took, could finish Ph.D. programs. Student Urban Education. Sisters taught teachers the importance and implementation methods of inter-ethnic education. Project Bridge.Helped narrow the gap between racial and ethnic groups in Cleveland, Ohio. From racial equality and integration, Sister Margaret Ellen expanded her focus to help draw attention to issues affecting women. In 1969, she co-founded the National Coalition of American Nuns (NCAN) to advocate for women to be fully represented in the Catholic Church and for women religious to have full control over their communities. 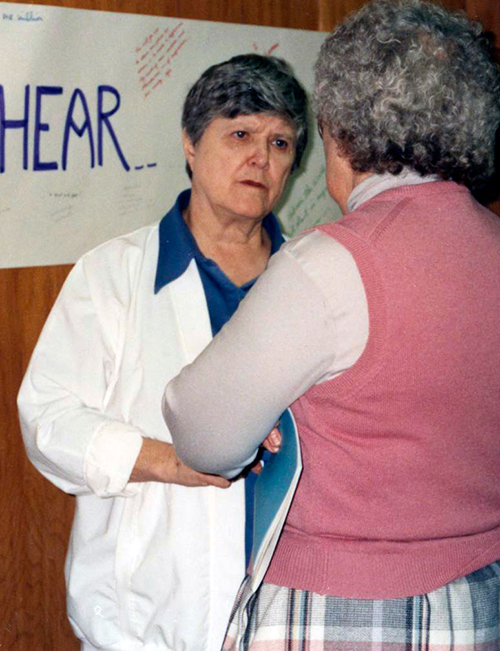 Through NCAN, Sister Margaret Ellen continued to speak out against the Catholic Church’s treatment of women, even picketing at the Vatican in 1975. Sister Margaret Ellen was also sympathetic to the plight of those in Jewish communities located throughout the world. In 1968, while serving as a member of the American delegation to the General Chapter of the School Sisters of Notre Dame in Munich, she initiated a visit to Dachau. The trip affected her profoundly. In her biography, Sister Margaret Ellen remarked that Russian Jews had been “victims of centuries of pogroms and now again in our day, being persecuted and denied exit visas.” She founded the National Interreligious Task Force on Soviet Jewry in 1972, and helped more than 263,000 Soviet Jews immigrate to countries of their choice. Because of her work toward educating Christians about Jewish heritage, Sister Margaret Ellen was awarded a State of Israel medal by Prime Minister Golda Meir. 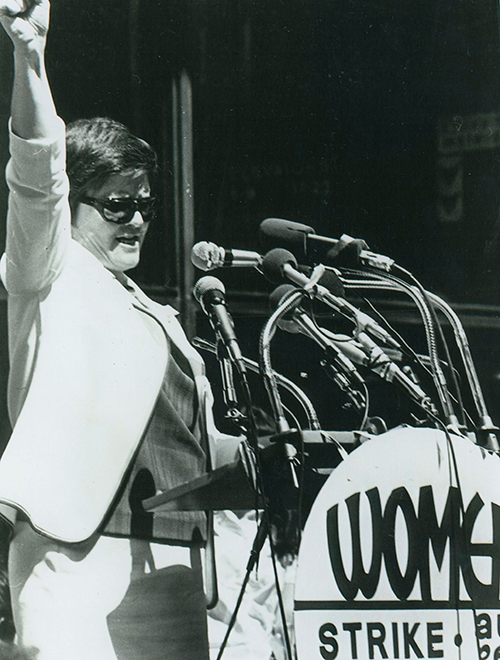 In 1974, Sister Margaret Ellen formed teams of women – lawyers, judges, social workers, psychologists – who taught female prisoners about their legal rights. She called this group the Institute for Women Today, and for 15 years Sister Margaret Ellen and members of this group visited prisons across the Midwest and the South, teaching women inmates job skills and advocating for better conditions. In some cases, the Institute was able to obtain the release of women whose civil rights had been violated. Until her death in 2002, Sister Margaret Ellen continued to be a champion for racial and gender equality and to fight for the rights of the poor and downtrodden. In her later years, she established Mary’s Pence, a nonprofit dedicated to funding projects that supported women’s well-being. She also founded three shelters in Chicago: Sister House, an interim house for women leaving prison; Maria Shelter, a place for abused women and their children; and Casa Notre Dame, a home for older, homeless women. She was also a featured presenter at many national and international conferences and workshops, where she encouraged others to strive for peace, fairness and equality. Like Sister Margaret Ellen Traxler and other sisters who have come before, the School Sisters of Notre Dame (SSND) continue to defend the rights of those who are not treated fairly and equally and help to improve the lives of the poor and vulnerable. SSNDs do this by actively promoting diversity and inclusivity. An example is at Mount Mary University in Milwaukee, an SSND supported ministry. Learn more about Mount Mary’s efforts to encourage diversity and inclusivity among its student body, faculty and staff. Green Hope Gardens are a sign of mercy In 2010, SSND associates in Ohio and West Virginia reflected on what they could do to nourish those in need while being good stewards of the land. The result was Green Hope Gardens, which contributes fresh vegetables to the local food pantry.